Will Obamacare Go Up In Flames Too? The Inspector General for USPS took a closer look at the Civil Service Retirement System and found massive overpayments dating back decades. Thompson said the Office of Personnel Management, in deciding how much the Postal Service should pay into the CSRS, is currently using a different method developed in 1974. They’ve said they aren’t going to change unless Congress tells them to, according to Thomson. All it would take, according to Thompson, is for either the OPM to make the change or for Congress to legislate it. That might seem simple enough, but with so much money involved, no one’s getting off the dime, literally. The article mentioned above is in line with a memo issued by the OIG on June 18, 2010 (excerpt below). I’m just wondering if anyone has “gotten off the dime” as of yet? I mean I know it’s only $75 billion, but one has to wonder just how many unresolved $75 billion overpayments are floating around Washington D.C., with its $14 trillion in debt and all. Where was it that the buck was supposed to stop again? This report presents the results of our review of the Civil Service Retirement System (CSRS) Overpayment by the U.S. 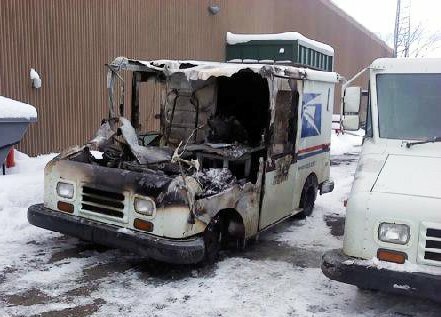 Postal Service (Project Number 10YO036CI000). This report discusses the $75 billion CSRS overpayment by the Postal Service in fiscal years (FY) 1972 through 2009. The objective of this review was to assess the facts concerning this overpayment and identify any possible solution(s) to correct the overpayment to the benefit of the Postal Service. This review addresses financial risk. Now if you look back through the records of the OIG, you will discover that a similar memo was issued back in April of 2004 (excerpt below). The 2004 memo stated that the Postal Service was making overpayments to the CSRS, and implied that the problem had been corrected. In fact, the memo states that, “Had the overpayments continued, the Postal Service would have overpaid its obligation by over $100 billion.” Well, apparently the problem wasn’t resolved, because a little over six years later the Postal Service had in fact, overpaid the CSRS by $75 billion. I wonder what happened to the other $25 billion! This memorandum presents our opinion on the issues surrounding the Postal Service’s funding of the Civil Service Retirement System (CSRS) (Project Number 03XD009FT005). The objective was to analyze the outstanding issues pertaining to the Postal Civil Service Retirement System Funding Reform Act of 2003 (Public Law 108-18) and to provide our perspective on how the legislation affects the Postal Service and its stakeholders. We have included the differing viewpoints and positions that have been generated by affected groups, including the Department of the Treasury (Treasury), the Office of Personnel Management (OPM), the General Accounting Office (GAO), the Postal Rate Commission, the President’s Commission on the United States Postal Service (the President’s Commission), mailers, competitors, and the Postal Service. GAO discovered that the Postal Service’s amortized payments to OPM for its CSRS liability were too large. Had the overpayments continued, the Postal Service would have overpaid its obligation by over $100 billion. It looks like the federal government is just bleeding money on all fronts. Where government backed entities, like the Postal Service, should be turning a profit, instead we find, as the Washington Examiner reported in April of 2010, that “without serious reform [the Postal Service] was set to lose $7 billion in 2010 and $238 billion over the next 10 years…” Perhaps it’s time to end the era of government-sponsored, government-owned, and government-backed entities? One has to wonder, at this point, just exactly what they are backed by – an unlimited ability to incur debt? The time to repeal Obamacare is now. The time to cap the debt ceiling is now. Enough is enough. Other References: Will Obama create the Post Office of health care?